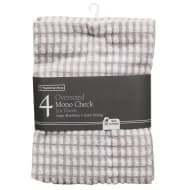 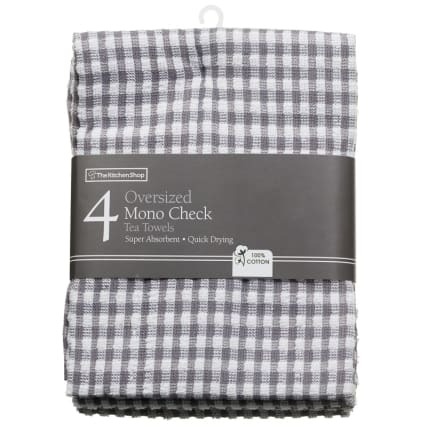 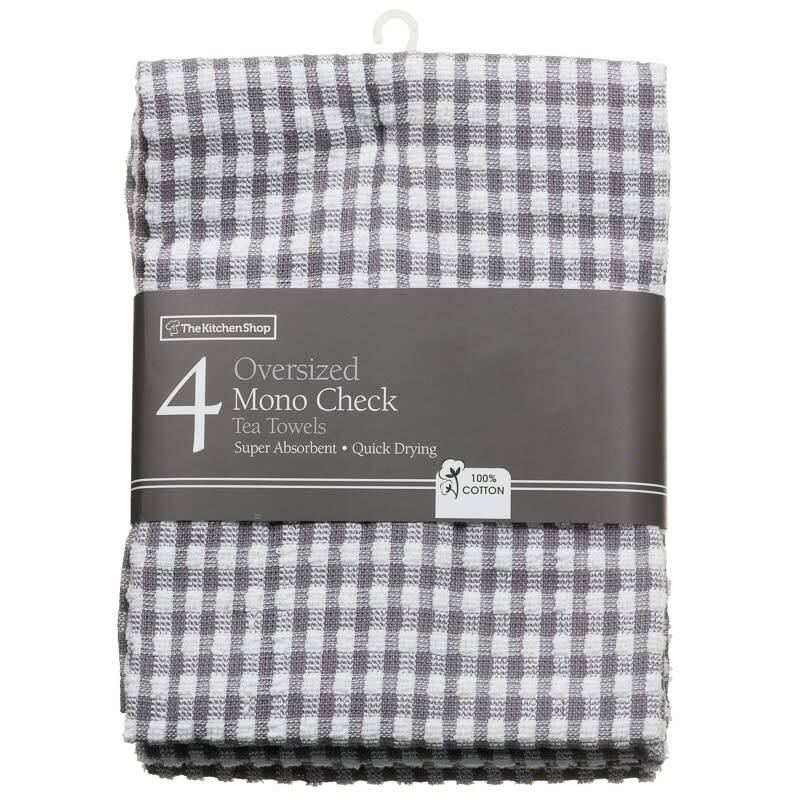 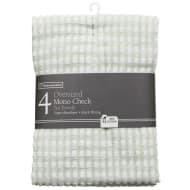 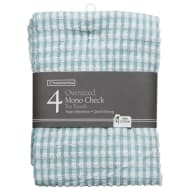 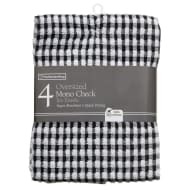 Mono Check Oversized Tea Towels. 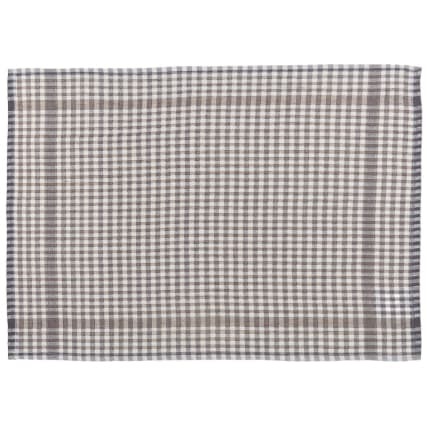 This Oversized Tea Towel is an essential addition to your home and kitchen. 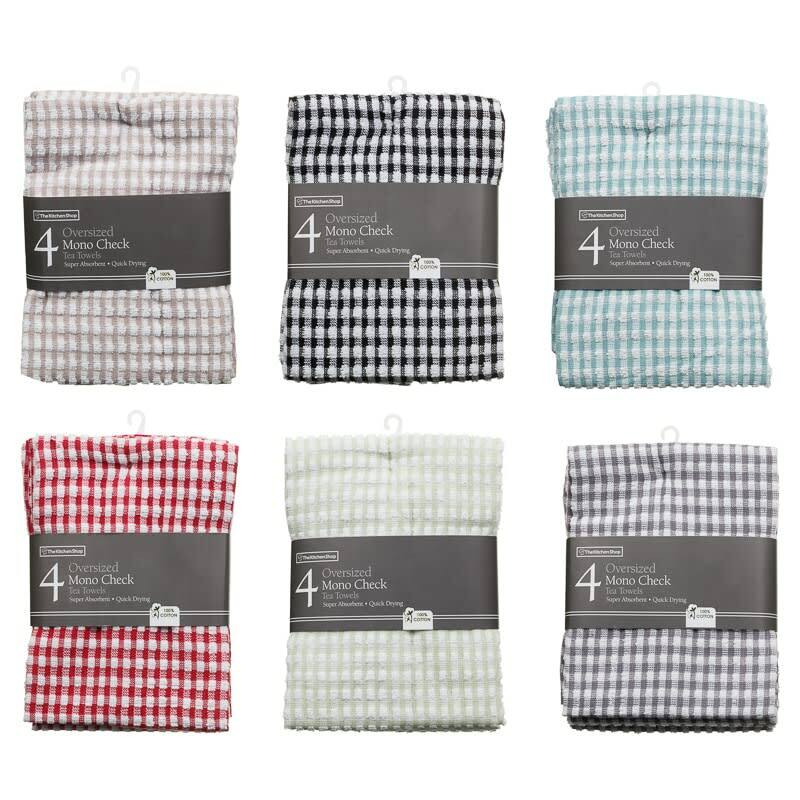 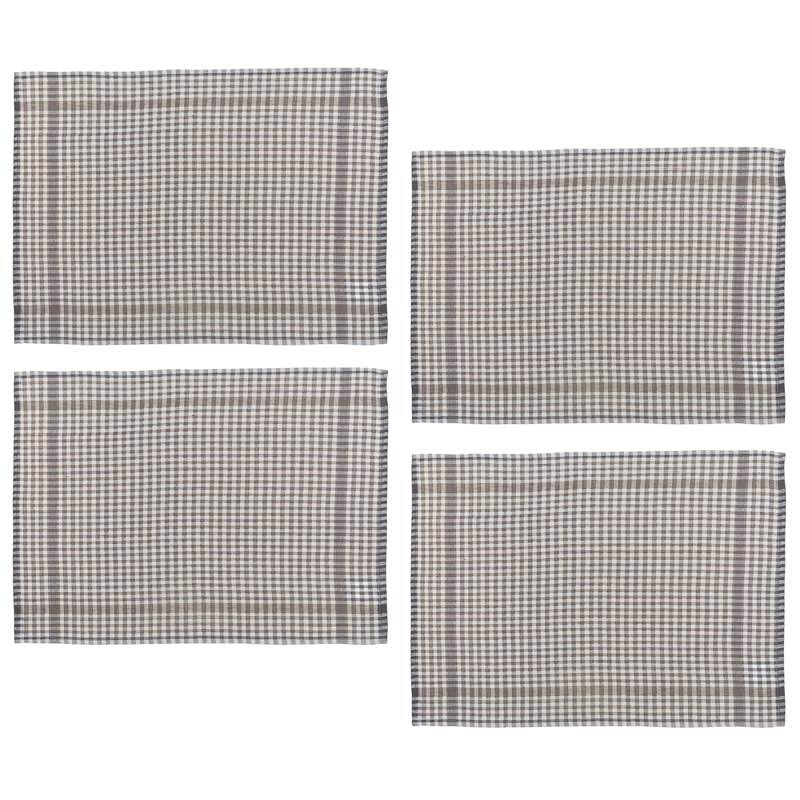 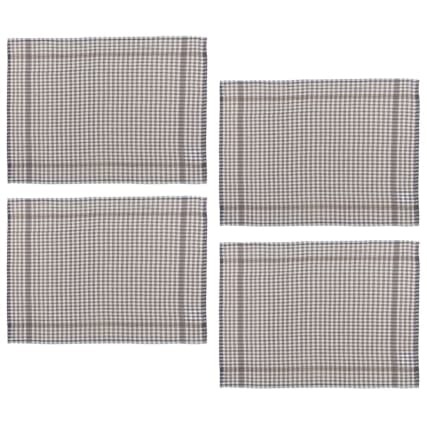 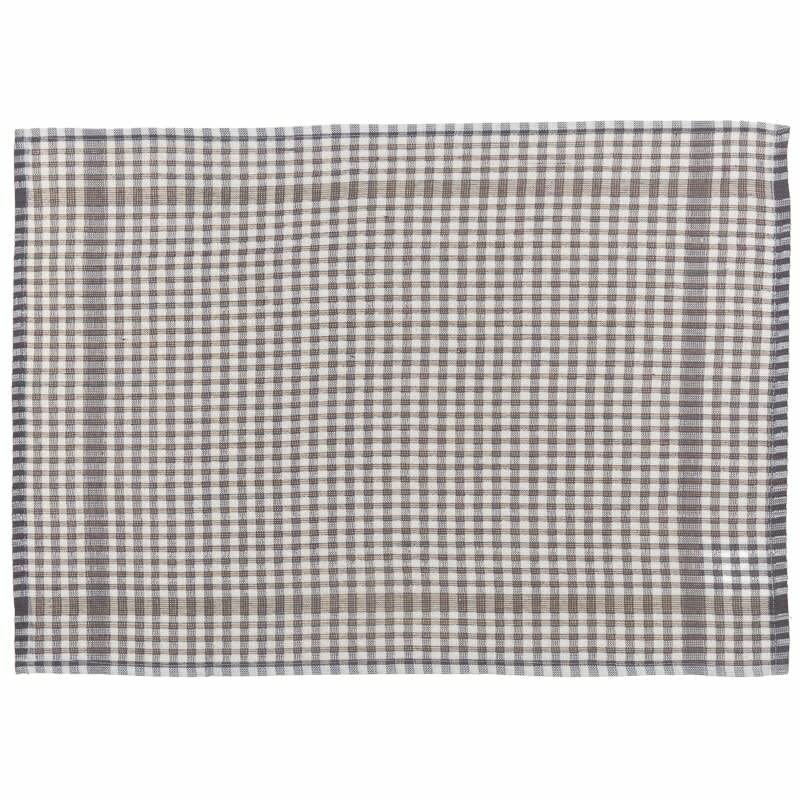 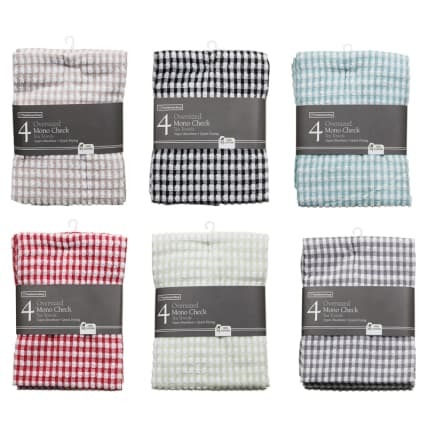 Quickly and easily dry your dishes with this super absorbent tea towel, which comes in a pack of 4. 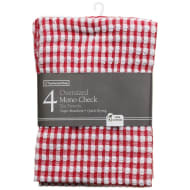 Browse more Tea Towels online, and buy in stores at B&M.